This Unisex Baby Beanie Hat is our new arrival this season and it comes with an adorable red ladybird print all-over. It looks so cute on small babies, boys and girls. Made from the softest cotton that is gentle on the new baby’s delicate skin. 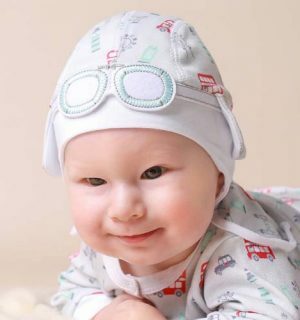 It is designed with ties to fasten under the chin for maximum comfort and to help shield your little baby’s ears from a cool summer breeze. 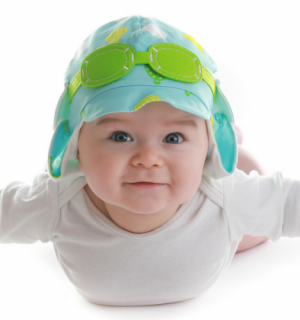 This newborn beanie hat is the ideal practical piece for every day wear and it is a great unisex baby gift idea. We love small details on this unisex baby beanie hat such as the fully lined inside so there is no seams that can otherwise affect their delicate skin and the cute spikes on the top of the hat that resemble little red ladybirds. The single jersey cotton gives that extra stretch and comfort as your baby starts to move and grow as well. The adorable ladybird print comes in three colours to choose from – red, pink and blue. There are matching bibs and mittens that can be purchased with the beanie hat as a beautiful baby gift set or the newborn hat on its own will make a lovely gift too. The attention to detail in this new baby beanie hat is remarkable. 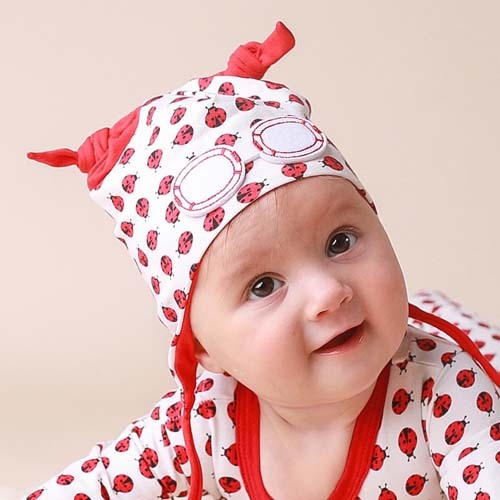 This Baby Beanie Hat is our new arrival this season and it comes with an adorable red ladybird print all-over. It looks so cute on small babies, boys and girls. Made from the softest cotton that is gentle on the new baby’s delicate skin. 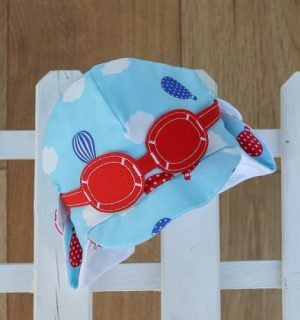 It is designed with ties to fasten under the chin for maximum comfort and to help shield your little baby’s ears from a cool summer breeze. This newborn beanie hat is the ideal practical piece for every day wear and it is a great unisex baby gift idea. We love small details on this unisex baby beanie hat such as the fully lined inside so there is no seams that can otherwise affect their delicate skin and the cute spikes on the top of the hat that resemble little red ladybirds. The single jersey cotton gives that extra stretch and comfort as your baby starts to move and grow as well. The adorable ladybird print comes in three colours to choose from – red, pink and blue. There are matching bibs and mittens that can be purchased with the beanie hat as a beautiful baby gift set or the newborn hat on its own will make a lovely gift too. The attention to detail in this new baby beanie hat is remarkable.